The troubles at NBC have finally reached CEO Jeffrey Zucker, a guy so deft he had previously escaped criticism. Now the knives are out. No doubt the factors that explain Zucker’s managerial difficulties are several and complex, but one in particular jumps out. Apparently, Zucker is good at business…but bad at culture. He knows how to run the company. But he has no feeling for what the company does. It would be one thing if this cultural knowledge were arcane, possessed by a very few people tucked away in an obscure institutions (aka the university). But what Zucker is missing is the cultural competence possessed by most of his viewers, especially the ones under 35. 1) that popular culture became culture (see the work of Steven Johnson and Naussbaum). 2) that culture went from something very simple to something increasingly complex (for simplicity sake, let’s treat HBO as our case in point). 3) that cultural consumers have become increasingly well informed and sophistication (so says the book of Henry Jenkins). A odd and uncomfortable possibility suggests itself: that NBC managed to hire one of the few people in contemporary America who doesn’t get TV. How can this have happened? Checking someone’s cultural competence is pretty easy. 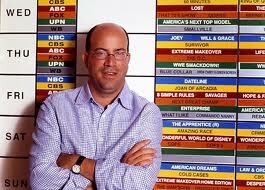 All someone at NBC needed to do was to take Zucker to lunch and quiz him on his favorite shows. Even a brief conversation would have revealed the depth and sophistication of his knowledge. And now a second possibility suggests itself: that the people doing the hiring at NBC don’t much know about the culture, either. There is, perhaps, a systematic bias for business and against culture in the NBC c-suite. Simply: NBC appears to be all about business and not about culture at a time that the corporation is increasingly about culture even when all about business. Oh for a CCO…or just a CCO who grasps his culture at least as well as most of his viewers do. Dowd, Maureen. 2010. The Biggest Loser. The New York Times. January 12, 2010. here. Macdonald, Gayle. 2010. Boy Wonder’s Blunder. The Globe and Mail. January 14, 2010. here. Nassbaum, Emily. 2009. When TV became art. New York Magazine. December 4. Note: this post was in the Network Solutions debacle of 2009. It was reposted December 25, 2010. This entry was posted in Uncategorized and tagged Chez Pazienza, Chief Culture Officer, culture, Emily Nassbaum, Gayle Macdonald, Jeffrey Zucker, NBC, Richard Siklos, TV on January 14, 2010 by Grant.